Regardless of ID and permit, whether or not a Palestinian may pass through an area relies on the whim of the soldier guarding the passage. A Palestinian woman shows her documents to an Israeli soldier so that she may enter the Gaza Strip and go home. 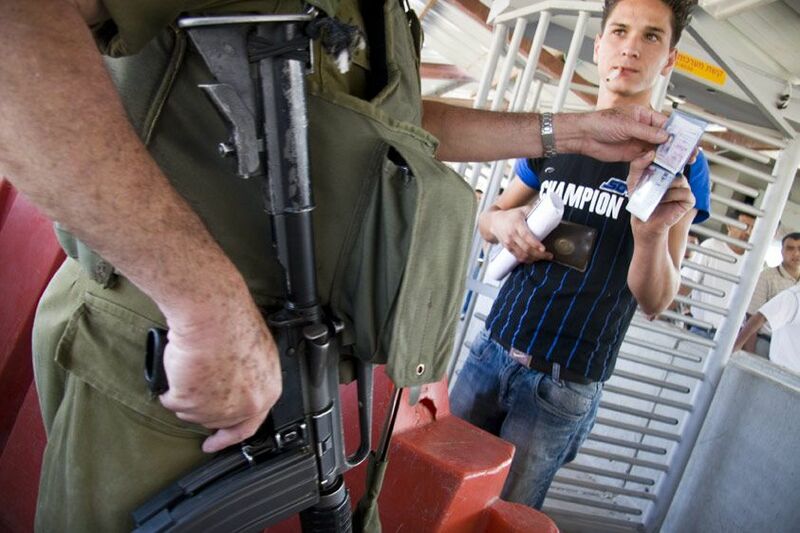 A Palestinian woman shows an Israeli soldier her ID as she tries to exit Bethlehem. 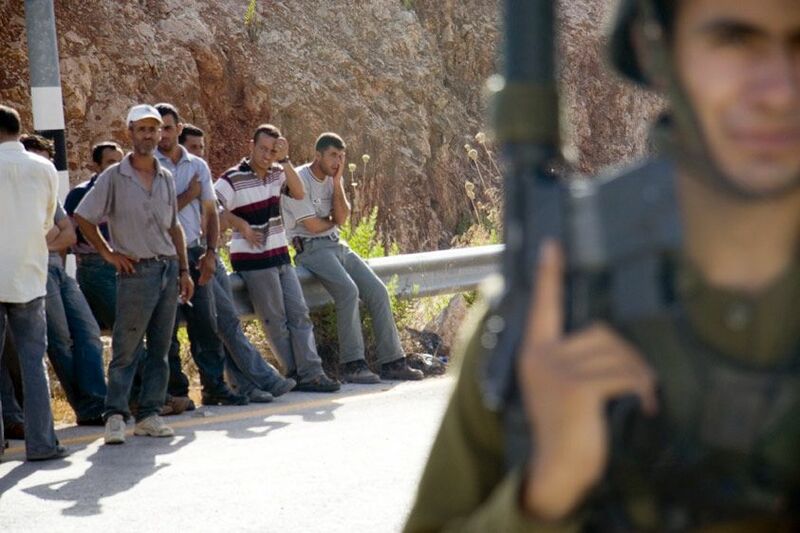 Palestinians are required to carry IDs and have permits to travel from area to area. 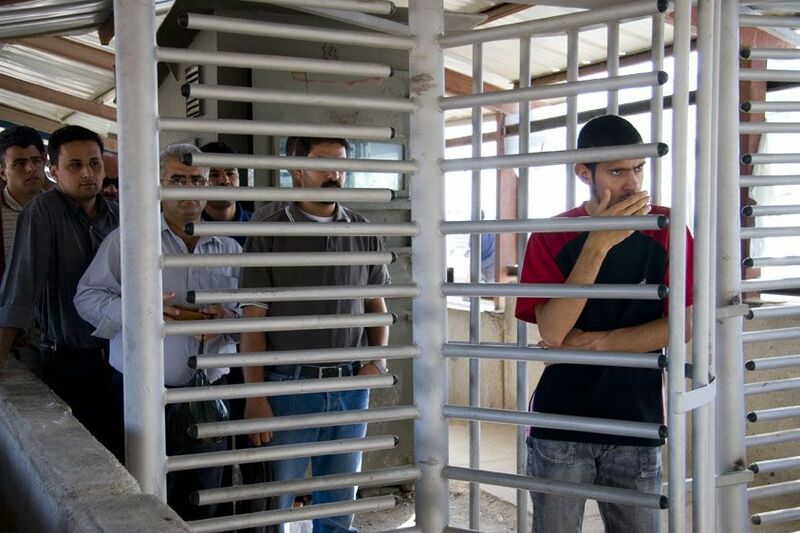 Palestinian men show their permits at Kalandia checkpoint, Ramallah. 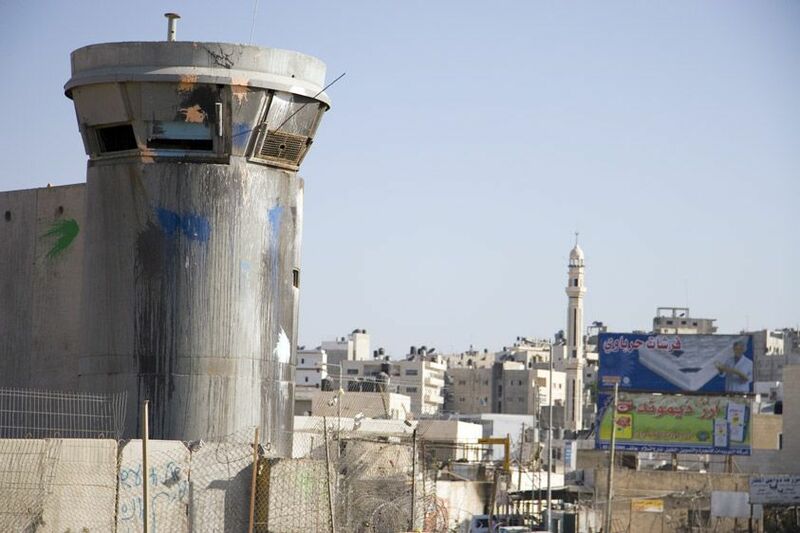 A fence and barbed wire surround the 25 foot high segregation wall around Ramallah, the business capital of Palestiine. 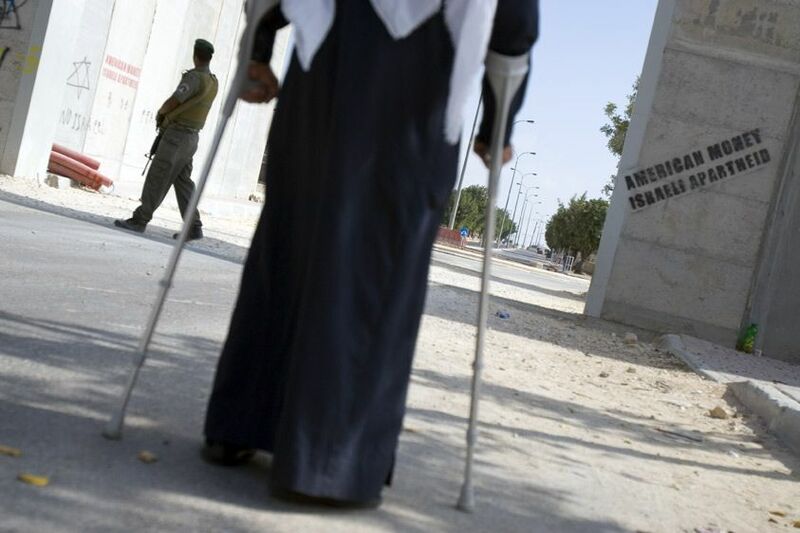 Two Palestinian women walk along the wall at Abu-Dis. 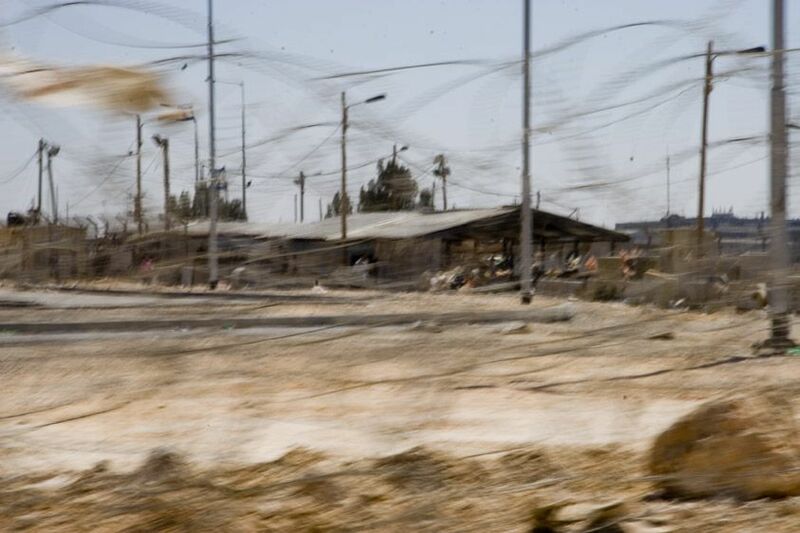 After ransportation stops on one side, Palestinians cross to the other side and find more transportation to continue their journey.